Exceptional yet strictly limited purchasing opportunities across all Executive Driven vehicles. The all New 2018 A200 highly optioned with Night package, Vision Package and Seat Comfort Package! Come down and drive the newest and best sports hatchback in the market. With its progressive styling this Mercedes-Benz A200 is a must to see and experience. 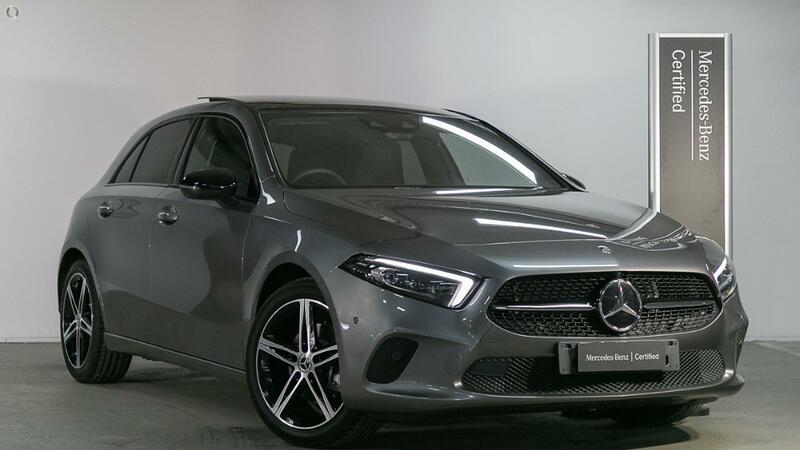 If you are interested in this vehicle and want to hear more about standard features and options, please submit your enquiry and allow one of our experienced team to demonstrate how simple and enjoyable buying a Mercedes-Benz can be. With over 30 years Mercedes-Benz knowledge, we offer you a truly unique customer and buying experience. The Newest Star in Town. Located 8 minutes from Chadstone Shopping Centre, and boasting the latest Mercedes-Benz architecture, design and technology, this brand-new facility offers you a solution for all your sales and servicing needs. Be one of the first to experience the boutique, star treatment at Mercedes-Benz newest retailer. Making Mercedes-Benz Accessible. This vehicle comes with a minimum of 2 Years 100% Mercedes-Benz Factory-Backed Warranty & 2 Years Mercedes-Benz Roadside Assistance Applicable Australia-Wide. All our Certified vehicles undergo a 120 Point Check by factory trained specialist technicians. Our on-site Business Managers and a dedicated Professional Vehicle Appraiser ensure we maximize your trade-in valuation and finance and insurance can even provide the option of an offsite visit to present and test drive your preferred Mercedes-Benz model. Featuring world class customer facilities including a state of the art Certified pre-owned showroom, a 19-hoist workshop showcasing the latest technology in tools and diagnostic equipment, Mercedes-Benz Express Service facilities, ample customer parking and a brand-new customer lounge serving gourmet catering 6 s a week.